The Palm Beaches is renowned for its award-winning spas and wellness offerings. Travelers from around the globe come to indulge in a wide array of wellness-focused services that rejuvenate both body and soul. 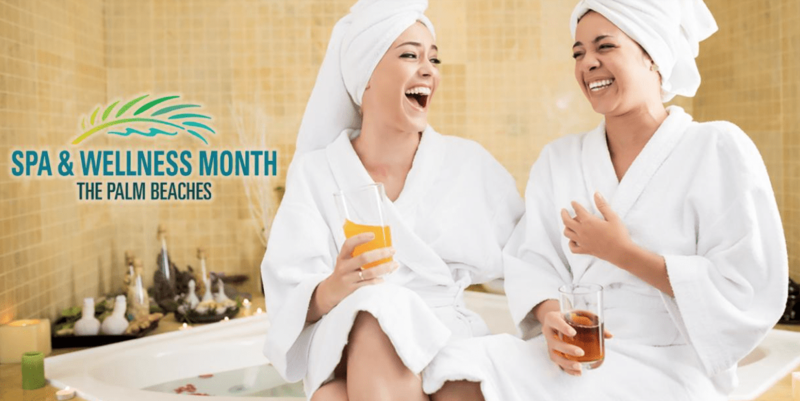 To spotlight these spectacular offerings, Discover The Palm Beaches, the official destination organization for Palm Beach County, is excited to share the list of participants for the second year of Spa & Wellness Month in The Palm Beaches. Relax with first-class facials and massages starting from $89. Try enriching wellness experiences, such as meditation and yoga, from $25. More than 19 spa and wellness establishments throughout The Palm Beaches are offering these savings packages. In support of Breast Cancer Awareness Month, all participating businesses will donate a portion of their proceeds to the Palm Beach County chapter of the American Cancer Society. The month-long promotion highlights the array of wellness-focused offerings available throughout The Palm Beaches. Designed to rejuvenate mind, body and soul, these featured spa therapies, wellness experiences and healthy treats are only available at these exclusive, limited-time prices throughout the month of October 2017. In support of Breast Cancer Awareness Month, all participating businesses will donate a portion of their proceeds to the Palm Beach County chapter of the American Cancer Society.